GREATER ANGLIA have released their latest TV advertising campaign after collaborating with Space City and agency, Jacob Bailey. Having released seasonal campaigns in the past utilising the renowned creative flair of the eponymous production stalwarts, the Dutch company returned once more to the Hammersmith-based production company, via the aforementioned Jacob Bailey. 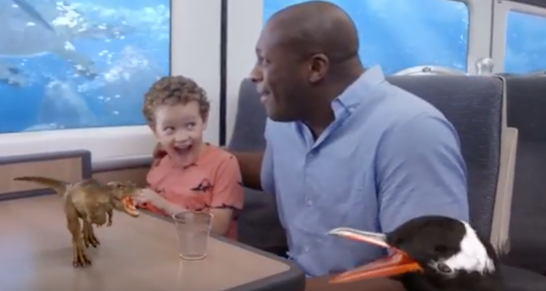 Combining a live-action-shoot and animation, the creative conceptualises Greater Anglia’s campaign name: let the adventure begin, through the escapist immersion provided by the impression of a train running underwater. Proceeding previous campaigns under the East Anglia franchisee’s previous trading name, Abellio Greater Anglia, the brand ethos was accentuated further through the pseudo-real settings ensuring the emotive resonance necessary could be achieved. Director of the commercial, Nick Sneath, was delighted with the final ads, he said: “It was a fantastic commercial to create, full of technical challenges and weather beyond our control, with a result that looks so fluid and effortless. Greater Anglia’s latest TV advert ensures consumers can assimilate with actors and their emotions in a light that reflects the brand ethos. Having shot at Liverpool Street Station itself, the authenticity combined with the escapist nature of the ad facilitated the aspirational concept seamlessly; assisted by the state-of-the-art, in-house DaVinci Grading Software used by Space City. The previous campaign devised by the partnership of Space City and Jacob Bailey elicited ROI of 4:1, ensuring the campaign well surpassed the national average of 2.5:1. Having previously delivered ROI of 6:1 for client, Jane Plan, the team are renowned for providing creatives that deliver short and long-term results throughout the last 25 years. Contact the team now and you can ensure your sales remain firmly on the rails with TV advertising from Space City. Click here now to watch the commercial and let your adventure begin. Successful TV advertising needs to consider many creative and placement elements, but what new challenges..
Advertising is only getting easier for small and medium-sized enterprises. 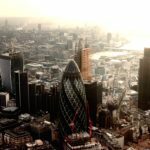 Space City explores the ways..
Advertising and marketing success is best served when focusing on longstanding campaigns; new conclusions have.. Direct response TV advertising is only becoming more efficient and lucrative for marketers; here are..
We produce cost-effective TV ads that are designed to get the maximum value out of limited budgets. We make it easy, taking care of all stages from script to screen. So find out how we can help you now.